Dec. 5, 2016, 12:23 p.m. If you were confused what The Outline, the ambitious new digital media project from The Verge and Bloomberg veteran Josh Topolsky, was supposed to be (or look like), its official launch today offers some clarity (its public products were thus far a Westworld recap/fan theory podcast and a Mars landing game). Other publishers, including Forbes and Vox Media, are experimenting with this sort of heavily mobile and Snapchat-inspired navigation. There will be no standard ad placements on The Outline, and no programmatic selling, said Amanda Hale, chief revenue officer. Like its editorial, The Outline’s ads are designed to be full-screen, highly visual placements that are not unlike classic magazine ads on a phone. Mr. Topolsky said he’s even had early conversations about other publishers potentially employing The Outline’s ad technology down the road. It is "a new kind of publication for a new kind of human" oh ok so the Outline's audience is the cast of Westworld. Wang, Shan. "Josh Topolsky’s The Outline officially launches and it burns the eyes (but the ad experience does look cool)." Nieman Journalism Lab. Nieman Foundation for Journalism at Harvard, 5 Dec. 2016. Web. 20 Apr. 2019. Wang, Shan. 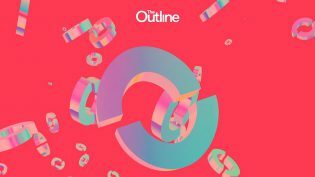 "Josh Topolsky’s The Outline officially launches and it burns the eyes (but the ad experience does look cool)." Nieman Journalism Lab. Last modified December 5, 2016. 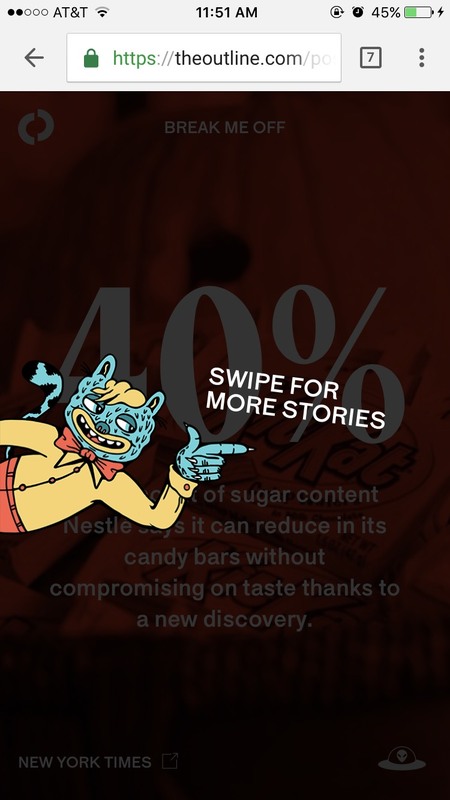 Accessed April 20, 2019. https://www.niemanlab.org/2016/12/josh-topolskys-the-outline-officially-launches-and-it-burns-the-eyes-but-the-ad-experience-does-look-cool/.